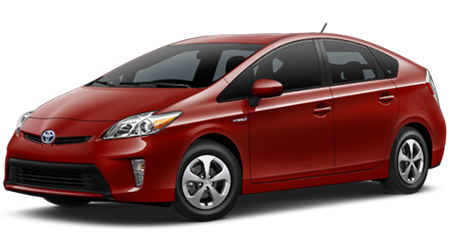 The 2016 Toyota Prius is available now at Venice Toyota in Florida. If you’re looking for a versatile mode of transportation that not only works to help the environment but comes at a driver friendly price, the Prius can’t be missed! This car put hybrid fuel-efficient cars on the map, creating a driving frenzy. Don’t get left in the dust, come by Venice Toyota today to hear all about the jaw-dropping features and to experience the Prius for yourself. Take a test drive and don’t forget to ask all about our financing options so you can own a piece of history for yourself! This vehicle delivers everything you’ve come to expect from the Toyota brand: safety, reliability, comfort, and much more! Don’t take our word for it, see for yourself! Our friendly dealership boasts a no hassle environment so you are free to browse at your leisure and ultimately make a confident decision having seen the available options. Read all about the features of the Toyota Prius below, and see for yourself how it compares to a similar model, the Chevrolet Volt. We concern ourselves with your safety and take care to only provide you with quality options. The Toyota Prius is one such option. This vehicle comes standard with eight airbags that all work together to offer you total body protection, not just your head and torso. Ask an associate about the features of the Safety Sense package that includes automatic braking in the rare event you become distracted, or learn all about the lane departure warnings that are designed to alert you if accidentally start drifting. Talk to a team member about upgrading to the pedestrian detection system so you keep not only you and your passengers safe, but those around you. The new Chevy Volt is still in the process of receiving its safety ratings but we do know it comes standard with ten airbags, as well as a rearview camera to assist you while reversing. Just like with the Toyota Prius, you can opt for a number of add-on safety features like the lane-keeping assist and blind-spot monitors. Come down to Venice Toyota to speak with a team member about your driving habits. We can suggest some helpful add-ons and get you behind the wheel for a Prius test drive today! As you slide behind the wheel of the Prius, you’ll quickly forget you’ve stepped into a hybrid economy car and will feel more like you’re ready to hit the racetrack. Get ready for some responsive steering as the Prius adjusts to your every command. Have no fear about those sudden lane changes, the Prius is ready when you are. The 2016 model sits lower than previous ones, adding to the sport driving effect. Get ready for those long hauls because the estimated 56 mpg combined will make you never want to get out of this new Toyota. We don’t blame you, we’re just as excited as you are to climb into the Prius for that test drive, so head on over today. The Chevy Volt can turn into a conventional hybrid with an estimated 42 mpg combined, in the rare case the battery is depleted. This plug-in hybrid delivers a quiet ride just like its Toyota counterpart, and has similar handling capabilities. Our team is standing by, ready to assist as needed so give us a call now! Get ready to invite the whole family on those weekend trips, as the Toyota can fit up to five passengers comfortably, with plenty of leg room for everyone. The 2016 Prius comes in a variety of options to choose from, six to be exact. Now you can customize a Prius to fit your lifestyle. No matter which trim you choose, the standard features are sure to put a smile on your face, like the LED daytime running lights and taillights. The active grille shutters work to cut aerodynamic drag and the 4.3 inch dashboard display is sure to keep you well informed. 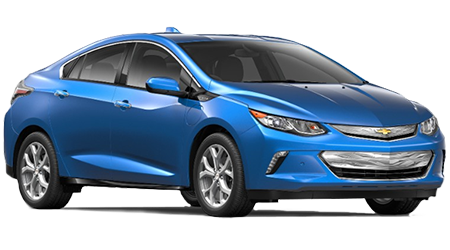 The Chevy Volt is capable of transporting up to five passengers as well, but only providing the back seat riders are all of slim build. This vehicle does have a high-tailed liftback design, similar to that of the Prius, but only comes in two different trim levels. The Volts come standard with keyless ignition and Apply CarPlay so you can sing along with your favorite tunes. The automatic climate control helps to ensure the passenger’s comfort as well. Head over to Venice Toyota today to see the features of the 2016 Prius for yourself, and how they compare to the Volt. The unique design of the 2016 Prius still makes it recognizable as a Toyota, but with a few specific finishing touches. This model has a lower front half with sleek, clean lines. It presents a sporty front and the sturdy body can’t help but be noticed. The well placed control panels are all within arm’s reach of the driver, helping keep your focus where it should be: the road ahead. The soft touch surfaces ensure your comfort while the ample interior storage compartments allow you to bring all the snacks and coffee mugs you please. Gear up for that long road trip, there’s no excuse to put it off any longer once you’ve obtained the 2016 Prius. The well designed seats will provide proper lumbar support and the leg room will allow you stretch those muscles. The Volt has sharply angled windows and when its profile is viewed, it looks to be leaning slightly forward. The aggressive design of the car is only further enhanced by the side accent lines, although this latest Chevy model does have a much more modern feel than previous versions. The interior is comprised of black coloring that is mixed with silver accents and the simple to use control panel helps keep you focused. The straightforward, no fuss design delivers you to your destination but may leave your senses yearning for more stimulation. This vehicle does provide a quiet interior cabin, similar to the Prius. We welcome all our Florida customers and look forward to providing for all your car needs. Whether you’re looking for a brand Toyota Prius, or a certified pre-owned vehicle, our vast inventory is sure to find the Toyota for you! Talk to our specialists about the different financing options available and don’t forget to schedule a service with our certified professionals to keep that Toyota running smoothly. We’re standing by, eager to serve you, so make the short trip from Bradenton or Punta Gorda, FL today!